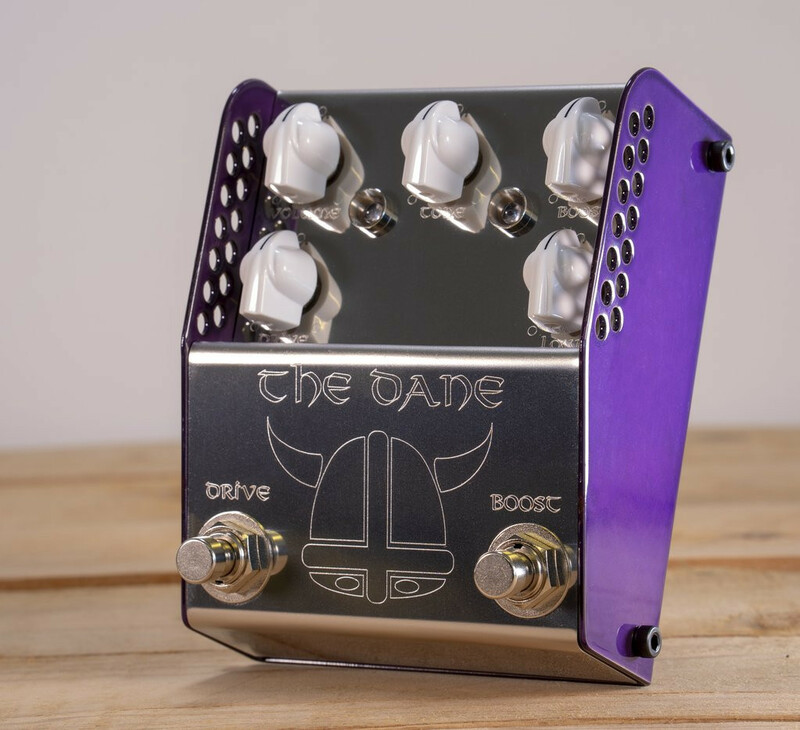 HE DANE has two sides - a complex light to medium gain overdrive on the left and a high headroom super clean boost on the right. THE DANE is a creation designed to meet the exacting needs of Danish Pete. However due to the design brief needing to cover the wide palette of sounds he uses, the pedal finished up being the most versatile pedal available on the market for such a clean design. 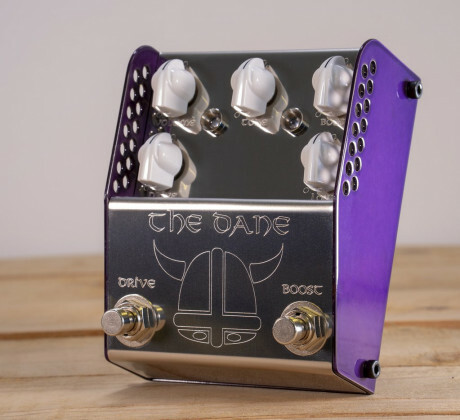 THE DANE has two sides - a complex light to medium gain overdrive on the left and a high headroom super clean boost on the right. The pedal is designed so that the boost runs into the drive side. This yields three distinct tonal variations ranging from clean boost all the way through to full and fat saturation. The pedal is also designed to clean up impeccably from your volume control and as such it is ideal for dynamic players who like to adjust their playing style.